NEW ZEALAND - 1900 BOER WAR "CANADIAN CONTINGENT" CACHET ON COVER TO N.Z. : 1900 (27 June) unfranked env. with mss 'On active service/no stamps available/N Z M R/No 476' [Mounted Rifles contingent] & fine strike of "BRITISH ARMY S. AFRICA/FIELD POST OFFICE B.O." cds, fine "CANADIAN CONTINGENT/SOUTH AFRICA" oval cachet in purple alongside & dated the same day. 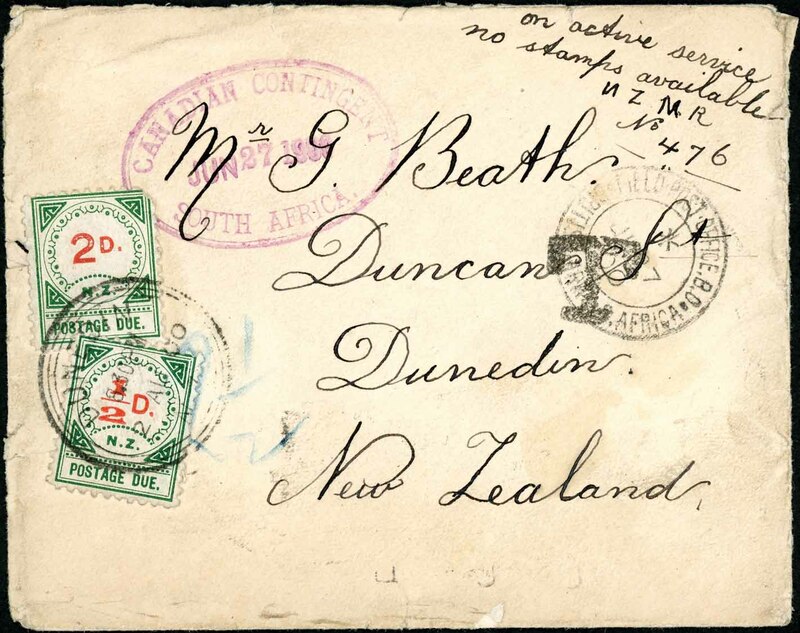 Also with "T" tax mark in black and ½d & 2d p.dues applied on arrival & tied by Dunedin cds. 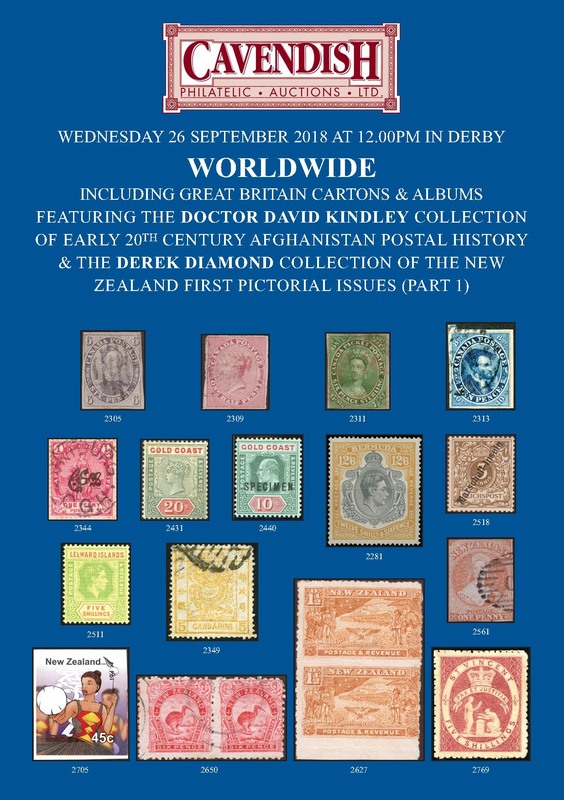 dated 2 Aug. Amazing Canadian contingent cachet on New Zealand contingent cover.